The paper presents an approach to bi-level programming using a duality gap—penalty function format. 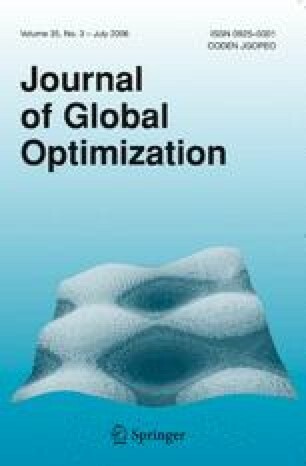 A new exact penalty function exists for obtaining a global optimal solution for the linear case, and an algorithm is given for doing this, making use of some new theoretical properties. For each penalty parameter value, the central optimisation problem is one of maximising a convex function over a polytope, for which a modification of an algorithm of Tuy (1964) is used. Some numerical results are given. The approach has other features which assist the actual decisionmaking process, which make use of the natural roles of duality gaps and penalty parameters. The approach also allows a natural generalization to nonlinear problems.